Mattress pads can be used for extra cushion, or as a barrier between the sheets and the bed. 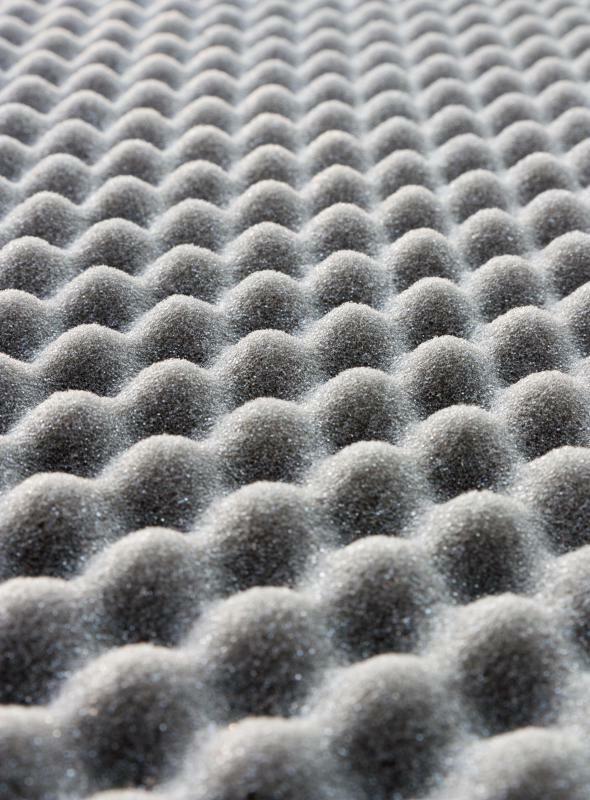 Egg crate foam is one type of foam pad that can be used for part or all of a bed. Some mattress pads are cooler to sleep on. A mattress pad is used to cover part or all of a bed's mattress. They come in a variety of styles and are used for several different purposes. Some offer extra cushioning and support to a sleeper, while others act as a buffer between the sheet and bed, keeping the bed itself cleaner. There are also allergen-resistant pads and waterproof pads, for those who have urinary incontinence. When choosing a mattress pad, it's best to consider what type is needed, the size of the bed, and the materials used to make the pad. Waterproof pads have a plastic or rubber backing that does not allow fluid to touch the mattress. Some of these are made as fitted sheets are while others are made to go around the entire mattress and zip for complete coverage. Users sometimes find that these are uncomfortably hot to sleep on and can be noisy when one moves on the bed. A mattress pad used to keep the bottom sheet from contact with the bed can serve two purposes: to keep everyday dirt from working its way into the mattress surface and to help the sheet stay in place. They often are quilted and padded and are normally washable, but will not resist liquids as plastic backed covers will. The degree of padding varies, with some being heavily quilted. Those who suffer from certain allergies can use a mattress pad to help limit exposure to the causes of their allergies. People allergic to dust mites or household dust will particularly benefit from this bedding. An effective allergen control pad must envelop the entire mattress and close with a zipper or other tight fastening. These usually work best when used with allergy control pillow covers. Pads designed to offer extra cushioning or support often look like a thin mattress. In addition to those made of all cotton, these may be a cotton cover stuffed with silk, synthetic fiber fill, or feathers. Other choices include wool and fleece. Quilting these covers helps to hold the filling in place and prevent lumps or thin spots. Some of these covers are dry clean only. Memory foam, or visco-elastic foam, is a synthetic product that molds itself to the body of the sleeper, providing both comfort and support. Many find that natural latex foam does not hold its shape as well as memory foam, but some people find it cooler to sleep on. Another foam product, egg crate foam, can also be cooler to sleep on. Egg crate foam can easily be cut to cover only part of the bed. For example, if a couple has different bedding preferences, with one preferring more support than the other, an egg crate pad can be purchased or cut for one side of the bed only without appreciably affecting the height of the other side. Some mattress pads have electric wires built into them, much like an electric blanket. These can be used to heat a bed for cold nights, but may be uncomfortable to sleep on if the wires are too big. They are not suitable for babies and those with disabilities that would make it hard for them to get out of the bed. Those who are incontinent should also not use this type of pad, as the liquid can cause the pad to malfunction and even cause electrocution. When choosing a mattress pad, it's best to think of what it will be used for. For instance, someone with arthritis might benefit from a foam one, while someone stuck with a hard mattress might need a cushioning one. The function also matters in relation to the age of the mattress. A cushioning pad might help prolong the life of a new mattress, for example, but it won't do so for one that's already old and damaged. The size of the bed in relation to the pad should also be taken into consideration. Most pads have elastic bands to hold them in place, but these may not stretch to fit an extra-deep mattress properly, so people should check the package for sizing before buying. 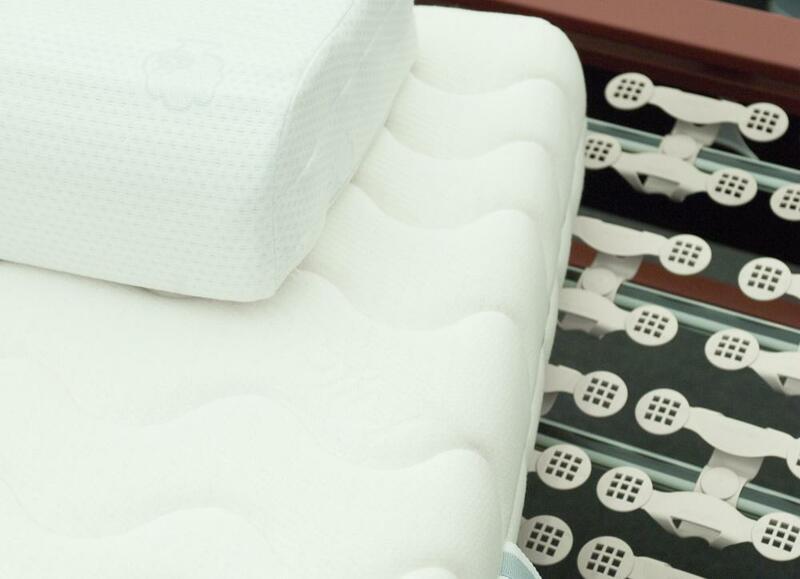 Those buying pads for specially sized beds, like cribs, should only use products designed for those types of beds to make sure that the pad fits properly and won't come off or pose a choking hazard. Additionally, people should consider the material that the mattress pad is made of, particularly if it will be used for allergy-relief. The type of material also affects the price of the pad. High end memory foam pads tend to be the most expensive, along with very thick cushioning ones made with natural materials, like down. The waterproof ones and thin cushioning ones tend to be the cheapest. What is a Puddle Pad? What are the Pros and Cons of Foam Mattresses? What Should I Consider When Buying a Feather Bed? I found the mattress pad can really increase the heat you feel when sleeping. For my wife, this is great. For me, terrible. So be careful shoppers! I got one from Sears that was good. Also online. Where can you get a good foam one? And does it make you so hot? I have a memory foam mattress pad, and I love it. It makes my cheap mattress feel a lot for comfortable. When getting a foam pad, should it be placed under, or on top of the mattress cover? I used to have the foam egg crate style pad on my bed for years, but now I have switched to memory foam pad. It provides much more comfort.